Biting The Big One. . Wallpaper and background images in the Powerpuff Girls and Rowdyruff Boys club tagged: bubbles blossom and buttercup. 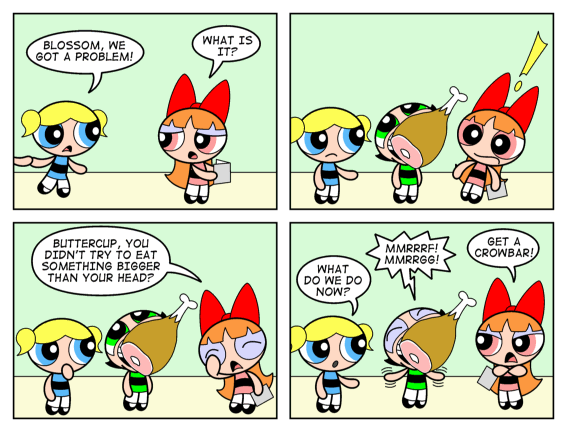 This Powerpuff Girls and Rowdyruff Boys photo contains anime, grappig boek, manga, cartoon, and stripboek. There might also be glas in lood raam and glasraam.